Congratulations graduates! The Linguistics & Language Development Graduation Ceremony will be taking place as described below. Make sure to scroll to the bottom for regalia info. Note! This is for our departmental graduation, not the SJSU-wide commencement ceremony. As a graduate, you are able to attend either or both of the ceremonies. For info on the SJSU-wide Commencement ceremony, visit their webpage. If you plan to attend the Department’s Commencement Ceremony, please read below and bookmark this page for your records. 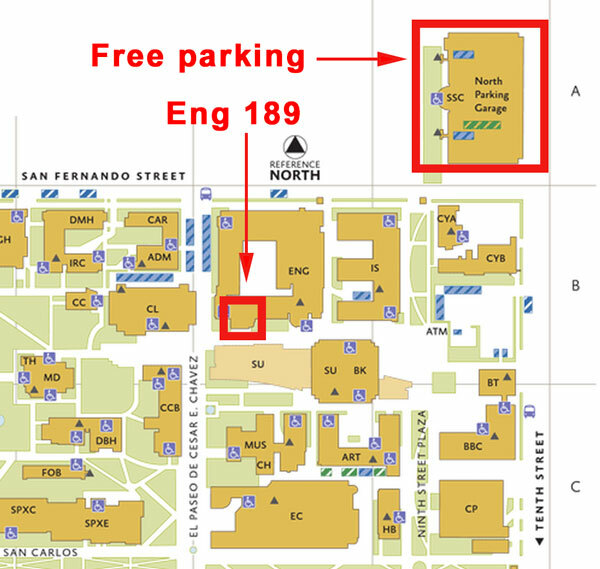 Location: Engineering 189 (On the 1st floor, facing the Spartan Bookstore). 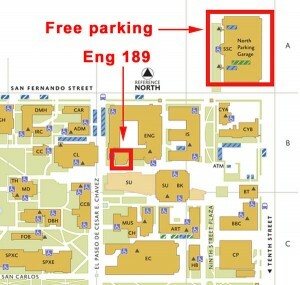 Parking in the SJSU garages is free on that day. Light refreshments will be available for an hour before the ceremony as well as coffee and cake afterwards. Graduating students will receive one free ticket for themselves. Tickets for friends and family will be $15.00 per person, and graduates will be able to buy up to four tickets (for a total of five with the free ticket). Tickets will be sold in-person at the Department’s front desk, cash only. Additional tickets are likely to become available in a couple weeks. Pick up gown rentals May 11th-14th. Be gowned and ready to walk at 6:00 pm sharp on May 15th! 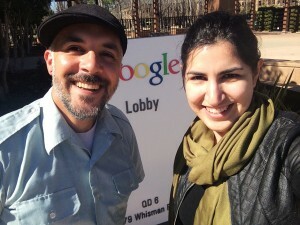 For questions & special accommodations, please contact our Department secretary, Cookie Galvan at cookie.galvan@sjsu.edu. M.A. HOOD. (available for rent) – M.A. students will be hooded by LLD faculty as part of the graduation ceremony. Every year, the LLD dept. rents gowns and caps for considerably less than what they cost new. Cost is $30.00 for both a gown and cap. We also have a limited number of master’s hoods available for an additional $5.00. Note: We do not provide tassels for rental! Please purchase A WHITE TASSEL (Humanities undergraduate) or a BLACK TASSEL (Masters Program) yourself at the SJSU bookstore. To rent, please visit Cookie Galvan in person at the front desk on 4th floor Clark. LLD Intro Video – Welcome to SJSU! A big thank you to the students, staff, and faculty that devoted their time and energy to make this video happen. Comments Off on LLD Intro Video – Welcome to SJSU! LLDSA Mixer/Fundraiser – at Pizza My Heart in San José. 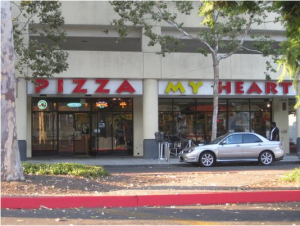 JOIN US this Thursday (5pm 3/12) for our MIXER/FUNDRAISER event at Pizza My Heart in San José, one block from SJSU campus! Proceeds from this event will go to pay for LLD Graduation 2015. Even if you order takeout or online from home, PLEASE MENTION “LLDSA” anytime on Thursday and we will get 10% of your transaction before tax. Thank you Pizza My Heart! Comments Off on LLDSA Mixer/Fundraiser – at Pizza My Heart in San José. A big THANK YOU to all the ESL programs that provided Practicum opportunities for our MA TESOL student teachers in Fall 2014. With your support, our graduates have gained invaluable classroom teaching experience!